We like to keep our wine choices simple…yes or no. Shopping in most American grocery stores or big wine stores you can search by country, and that normally will be as specific as the bin marker gets. (Side note: As we found out in Spain, the geographic area of Rioja alone has over 600 wineries, so to say you are drinking Spanish wine holds little significance…one must be more specific about region and even town!) American wines are sold by varietal; French by appellation and geographic region; and because of the abundance of both, exploring French wine is a new adventure every few kilometers. 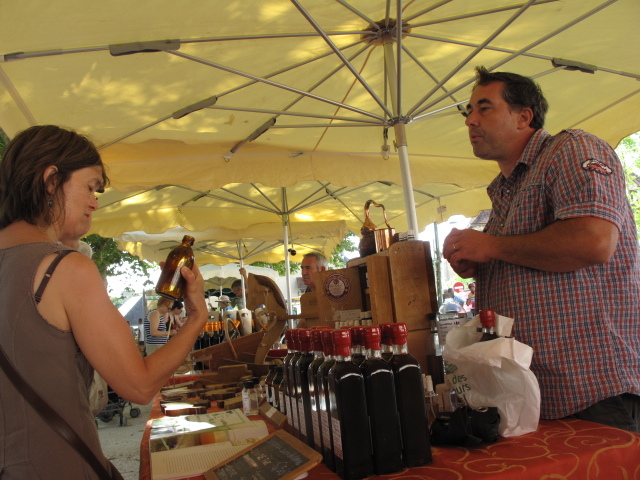 Wine in France, like other wine producing countries, is part of everyday life. Many people are involved in its production, it is ubiquitous on lunch and dinner tables, cafes abound and people are loyal to a local terroir (try ordering a Bordeaux in Languedoc Roussillon…good luck) And that is a GOOD thing. So, starting our journey in Le Boulou, in southwestern France, we drank only the local wines. 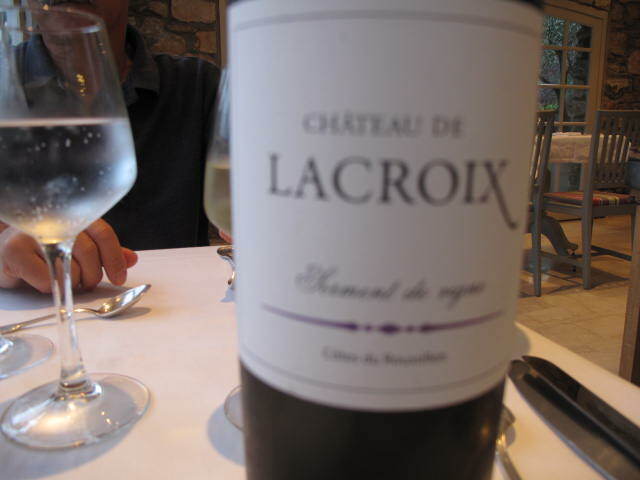 We had whites and reds from Chateau de Lacroix, in Cabestany, right up the road. For white, look for the Reserve Cotes du Roussillon Blanc, made from Granache Blanc, Roussanne and Macabeu (Yay! lovely, wonderful and NOT Chardonnay) For reds, look for Reserve Cotes du Roussillon Rouge, composed of Granache, Syrah and Carignan. These are both low yield, so are found only very close to the source. 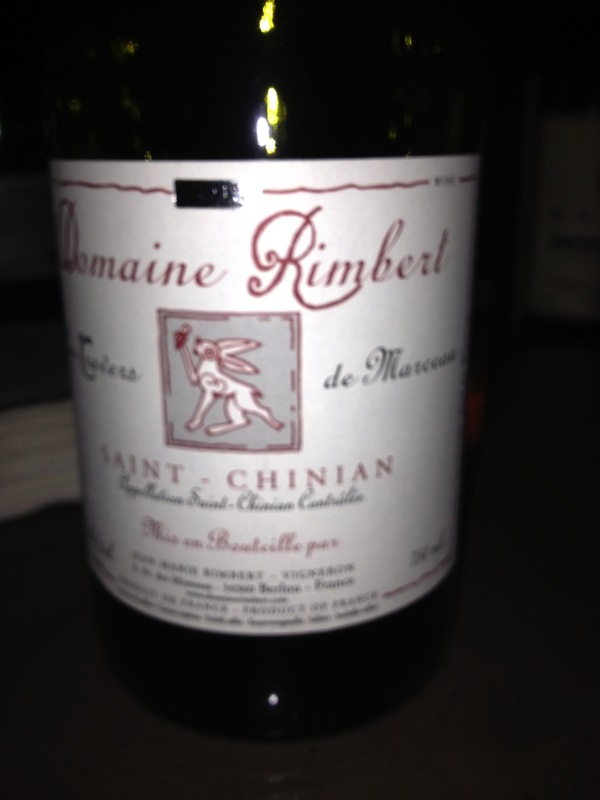 Another wine from the Languedoc Roussillon area, just to the north of Le Boulou that IS available in the U.S. is Saint Chinian. Wonderful wine, small appellation. 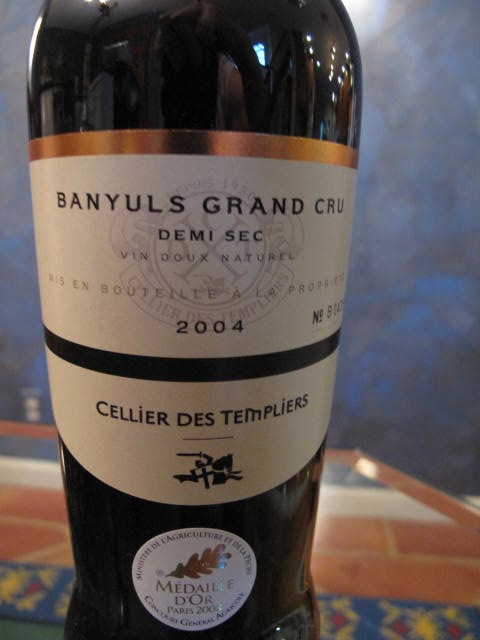 In the southeastern corner, where France meets Spain, is the coastal town of Banyuls sur Mer where one can find beautiful examples of the sweet Roussillon wine called Banyuls. 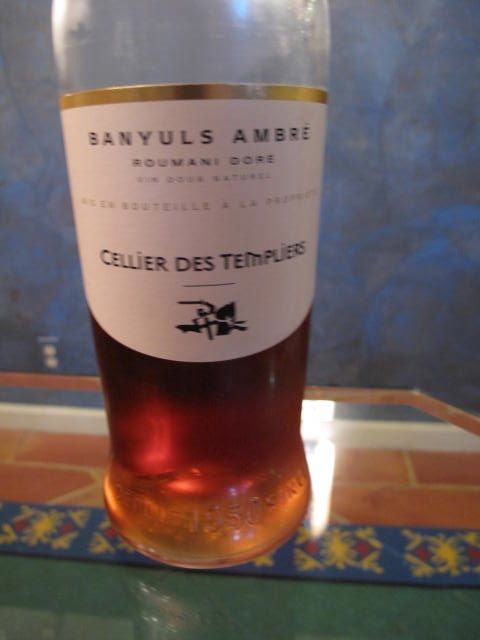 This light Amber Banyuls may serve as an aperitif, if there is any left. These are both part of the reason we had to check bags on our way home from France! Moving just north of the Languedoc area is the Cotes du Rhone…a large region that varies in quality, taste and price, well known by such appellations as Cote-Rotie, Crozes-Hermitage, Chateauneuf-du-Pape, Cotes du Ventous, Gigondas and Vacqueyras to name a few. 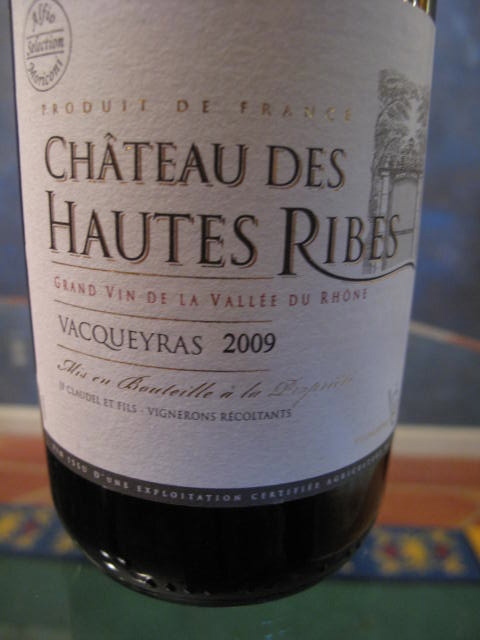 We had some lovely Vacqueyras while in France (thank you Rob and Barbara) and there are many that we have discovered available here in the U.S. We recently had a bottle of Chateau des Hautes Ribes, Vacqueyras 2009 that was very rich and smooth and is now in the running for our Thanksgiving table. 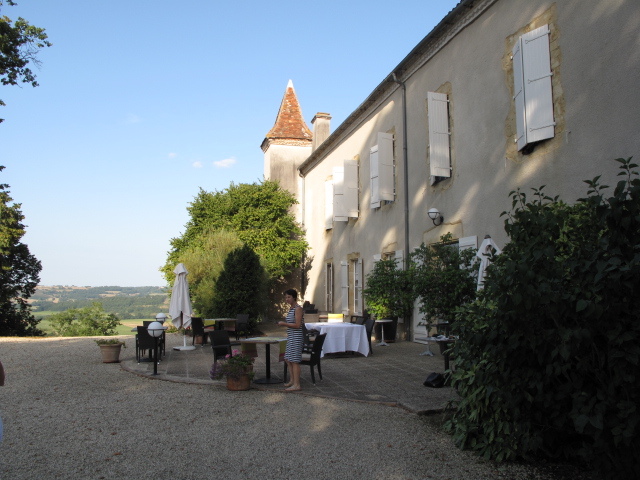 Moving west along the Lot River, in Gascony we tasted a wonderful small-ish appellation called Madiran…Lovely! and we had some of the most delicious reds we had ever tasted. The majority grape varietal is Tannat…superb. and waiting in the queue to be tasted for Thanksgiving (Domaine du Moulie Madiran 2008…I’ll let you know) We carried one with us from France…another suitcase wine…and if it runs out to be a winner, well, I’ll volunteer to go get some more. In the same area of Gascony we had some outstanding Armagnac (to accompany foie gras) and a very quaffable aperitif called ‘Floc de Gascogne’, a wine fortified with Armagnac…fantastique. Driving south of Gascogne, you pass through Cahors…lovely wine and fairly widely available here…perhaps too heavy for turkey…what do you think? And south of Cahors, we stopped in Pau (Clos Mirabel…wonderful) which is home to the vineyards of Jurancon. Although it may sound like this was a whirlwind wine tour, this is only a distance of about 200 miles (which we did at a snail’s pace of 3 weeks) and in those 200 miles were these AND MORE appellations. The beauty of driving through wine country is that every few kilometers is a different appellation; a different wine beckons. Whew! 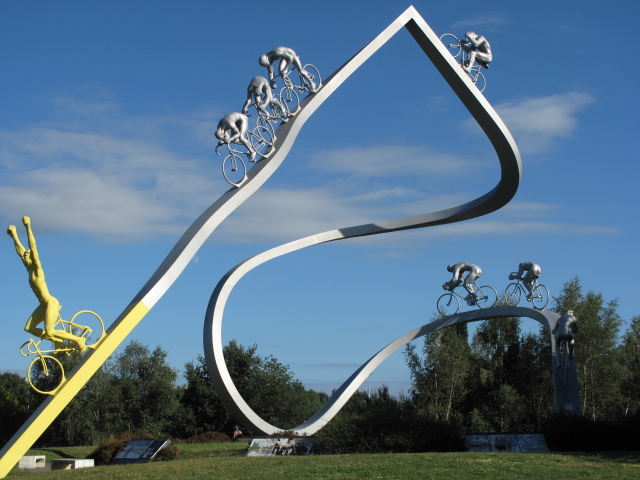 I’m almost as tired as those cyclists must be after a ride through the Pyrenees! 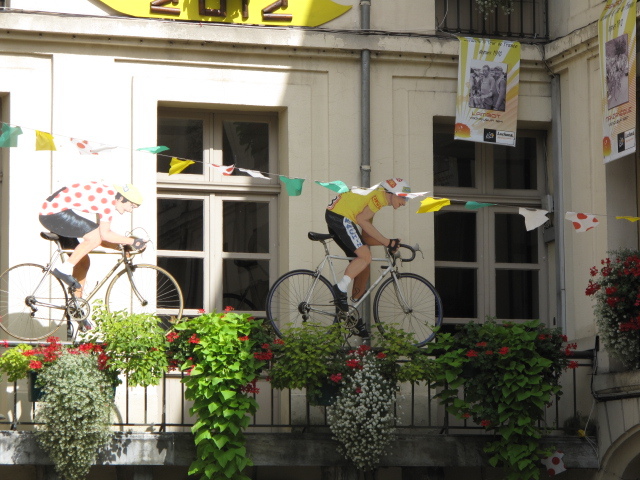 That is MY version of a Tour de Southwestern France…much easier on the legs and lungs. Please let me know YOUR suggestions for Thanksgiving wines…would love to hear them! 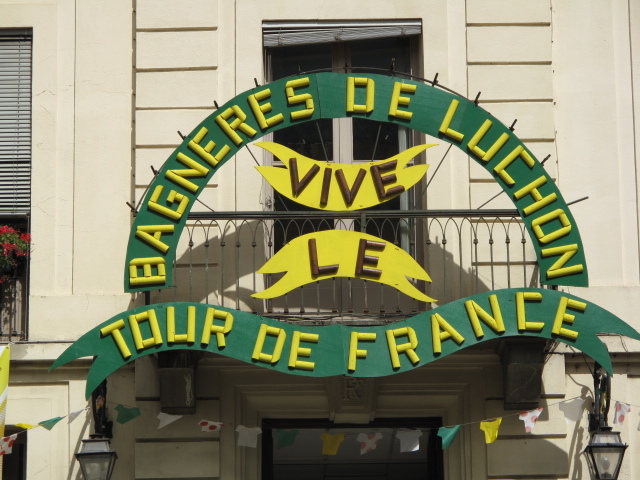 This entry was posted in Food and Wine, France, Wine and tagged Banyuls, banyuls sur mer, French Pyrenees, luxury accommodation, Rioja, wine.